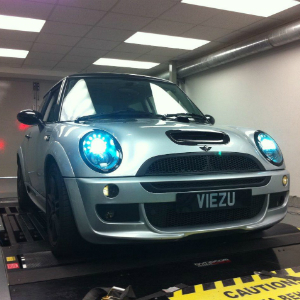 New independent testing carried out at a VCA approved facility has confirmed the emissions reducing capability of Viezu’s BlueOptimize remapping service. Already hugely popular with van fleet managers around the UK who are keen to cut their fuel bills and emissions output, BlueOptimize was tested on a standard 2013 Ford Transit 2.2 tdci to the New European Drive Cycle test (NEDC). Analysis of the results showed that as a consequence of Viezu’s engine remapping, the vehicle’s Nitrogen Oxides (NOx) output was slashed by more than 17 percent. Furthermore, the van’s fuel consumption was also improved, meaning the total amount of fuel burnt, and therefore overall emissions, was also lowered. Ethical and responsible remapping has been at the core of Viezu’s business for many years. Its BlueOptimize service was launched in 2012 and since then more than 250,000 vehicles including some of the largest fleets on UK roads have had their emission levels and fuel consumption improved with the service. Viezu’s team of in-house software engineers develop bespoke engine maps for every vehicle, taking into account the vehicle’s typical drive cycle, load and other key characteristics. The engine map is then modified to introduce factors such as rev or throttle limiting to ensure that performance is improved, without any detrimental impact on the environment. Vehicle emissions have been under extreme scrutiny this year after the High Court air quality ruling in April. Indeed, it is thought that more than 29,000 premature deaths occur each year in the UK as a result of poor air quality, which is being largely blamed on NOx emissions from diesel vehicles. Fleets keen to explore the emissions, fuel and money saving opportunities achievable by BlueOptimize are invited to visit www.viezu.com or call 01789 774444.